Having spent time and money on tuning work, it makes sense to release the full value of your investment by having us set your bike up on our state-of-the-art Fuchs rolling road dynamometer. When you leave our workshop after a rolling road session, you can ride confidently knowing that your fuel and ignition settings are absolutely spot on for your engines state of tune. 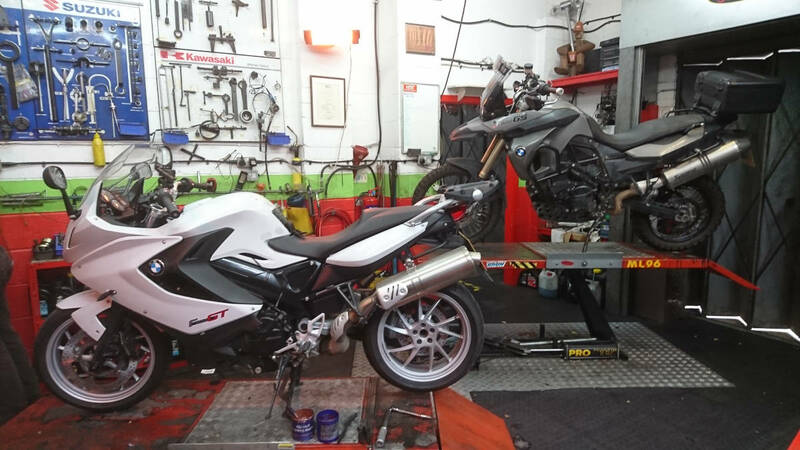 With good tuning practice and meticulous attention to detail, you will find that the tuning and bike setup at GP Performance is second to none. To assess this under real world conditions and to give a measure of the power available, check out our dyno charts page for more information. You can search for a particular bike, or capacity to compare different torque and power curves that we have achieved for our customers. Call us on the number shown or click in the header of any page to email us and get booked in for a dyno session. Rollingroad-setup page, GP Performance for prople living in BMW. For people interested in Rollingroad-setup in BMW.